A look at some of the players in the non league pyramid that are attracting the attention of Football League clubs. Everyone needs a goalscorer, and these days it seems like more and more clubs in the Football League are looking at players in our wonderful non league system. I thought I would take a look at some of them, and their chances of securing a move to a league club. There’s only one place to start really, and that is with The Cod Army’s star man. The former FC Halifax striker has scored 15 goals in 17 league games in his first season with Fleetwood, and is attracting attention from clubs in the Championship. Neighbours Blackpool are the latest club to show their interest, going as far as to make a bid of around £750,000 for the Sheffield born 24 year old. However, Town have said that that does not meet their valuation of the player. 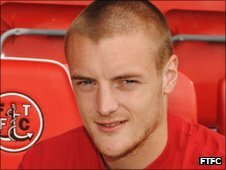 Vardy started out at local side Stocksbridge Park Steels, where he played from 2007 until 2010, and has been scoring goals right from the off. He scored nearly seventy goals in his three seasons with The Steels, prompting Halifax manager Neil Aspin to bring him to The Shay in summer 2010. He only had one season in West Yorkshire, scoring a very impressive 27 league goals as FC Halifax romped to the Northern Premier League title. It remains to be seen whether Vardy will stay or go this month, but my initial thought is that he will stay at Highbury for the remainder of the season, and finish the job of getting the Cod Army into the Football League. As for the club’s valuation of him, it seems a tad excessive. Turning down three quarters of a million pounds for a player who is only proven at Conference level seems rash, but then Fleetwood are not short of a few bob! One of the hottest strikers outside the league is undoubtedly 21 year old Appiah, currently plying his trade at Margate FC in the Ryman Isthmian Premier League. Appiah is thoroughly enjoying his football after finally settling at a club. He started out life at Ebbslfleet United, before moving onto Peterborough United. However, he never broke into the first team, largely due to the fact that Posh had Craig Mackail-Smith and Aaron McLean in sparkling form. Loan spells at Weymouth, King’s Lynn and Kettering followed, before spells at Brackley Town and Thurrock FC. 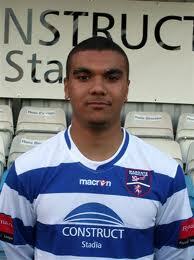 Appiah moved onto Margate in July 2011, signing a two year deal, and has not stopped scoring since. At time of writing, he has netted 21 league goals, and a total of 32 in all competitions. Unsurprisingly, there are several clubs rumoured to be interested, most notably Championship side Watford. Impressive figures, but it should be noted that he has only had half a season as a steady first team player, and there are no guarantees he could step up the five divisions to the second tier. That said, if he isn’t given a chance, and he doesn’t take any chance offered, we will never know how good he could be. Twenty one year old Jamille Matt has already been the subject of several unsuccessful bids from League Two side Northampton Town, showing just how quickly he is making a name for himself. 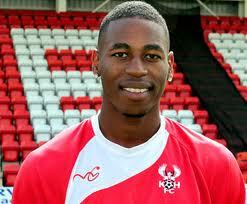 He is in his first full season as a professional player, having previously been a semi-pro with Sutton Coldfield. He is making up for lost time, though, scoring ten goals and assisting seven more in his twenty six appearances this season for the Conference Premier side. This time last year, “Kiddie” were on the verge of administration, and players like Matt would have been available on the cheap. Now, however, they are secure again, and will want to be significantly compensated should the striker be sold. However, with Harriers holding out for a six figure sum, that might scare off potential suitors, unwilling to spend such an amount on a player who is largely unproven. Prior is currently on trial at Premier League side Newcastle United after smashing in 28 goals in 31 games this season for Bognor Regis Town. In total, 24 year old Prior has netted an amazing 95 times in 121 appearances for The Rocks. A £12,000 transfer to Conference South side Eastleigh was all agreed before The Magpies came calling. Obviously, it is too good an opportunity for Prior to turn down, but Eastleigh are understandably furious by the situation, and have said that their deal for the player is now dead. 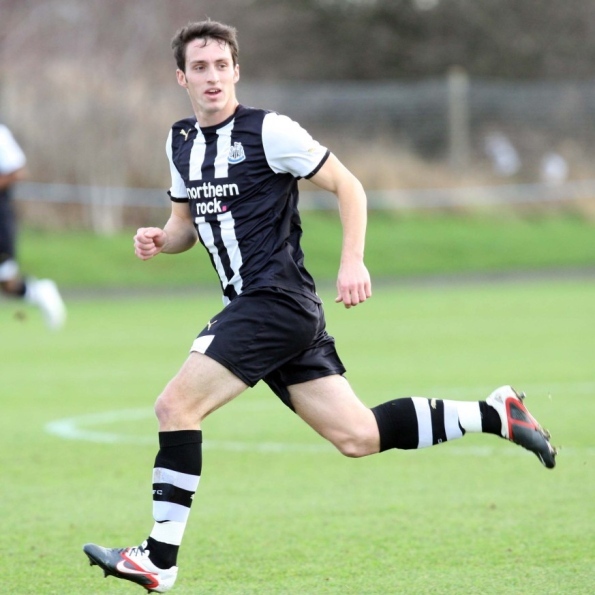 Prior impressed in a reserve team match for Newcastle against Wigan Athletic, scoring in a 3-1 victory. However, one of their coaches has said it is unlikely that he will get a contract at St James’ Park, although he should end up at a league club at the end of his trial. If there are no takers, then Prior will wind up back at Bognor Regis, and continue his fabulous scoring streak. Expect him to have played his last match for The Rocks though. Out of these players, I think the most likely to move on is Jason Prior. Several scouts were at the reserve match to see Prior in action, and he is almost certain to get a professional contract when it comes to an end. As for the others, I certainly don’t see Vardy leaving Highbury just yet, and I think Appiah could do with finishing this season with Margate. Jamille Matt could quite possibly leave, if Northampton continue their pursuit of the player, although Kidderminster’s valuation of him could scare off potential suitors. What do you think? Will any of these players get their big break this January? Are there any others that you would like to bring to our attention? Leave a comment or email the blog at undertheleague@gmail.com. Posted on January 12, 2012, in UTL Archive and tagged Bognor Regis Town, Fleetwood Town, Jamie Vardy, Jamille Matt, Jason Prior, Kidderminster Harriers, Kwesi Appiah, Margate FC. Bookmark the permalink. 4 Comments. Adam boyes of barrow afc, young and hungry and netted 17 goals this season in all competitions, knows where the goal is, only 21 and hopefully will stay with barrowafc anither year. I have loads of good feedback highlighting players that should be included, so many that I will probably have to do a second article! Team: Great Wakering Rovers, Ryman Leauge North.